Father’s Day is just around the corner, and I cannot get enough of making these adorable Father’s Day crafts. My two-year old is thrilled to be making “presents” for her dad and I love how easy they are to do. 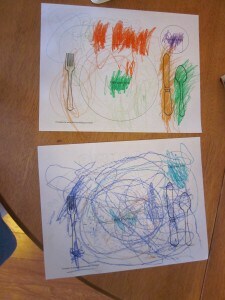 For today’s post, we’ll be making a “Dinner for Dad” placemat with a free printable from Kelli. 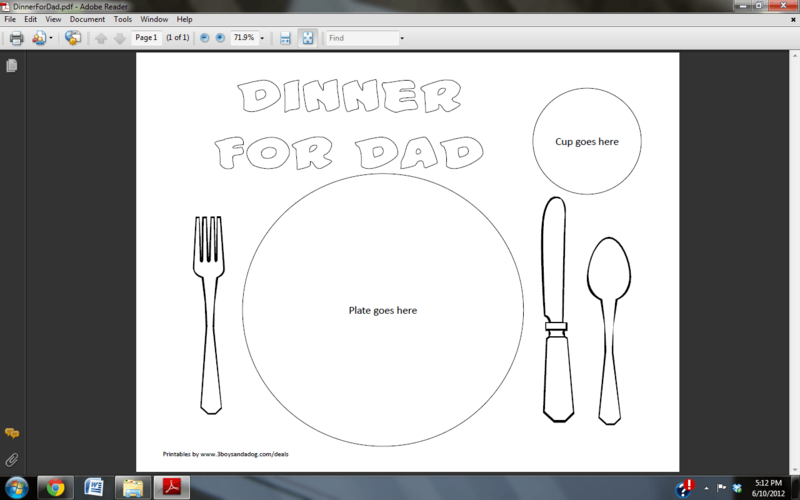 Here’s a screen shot of the printable. Adorable! 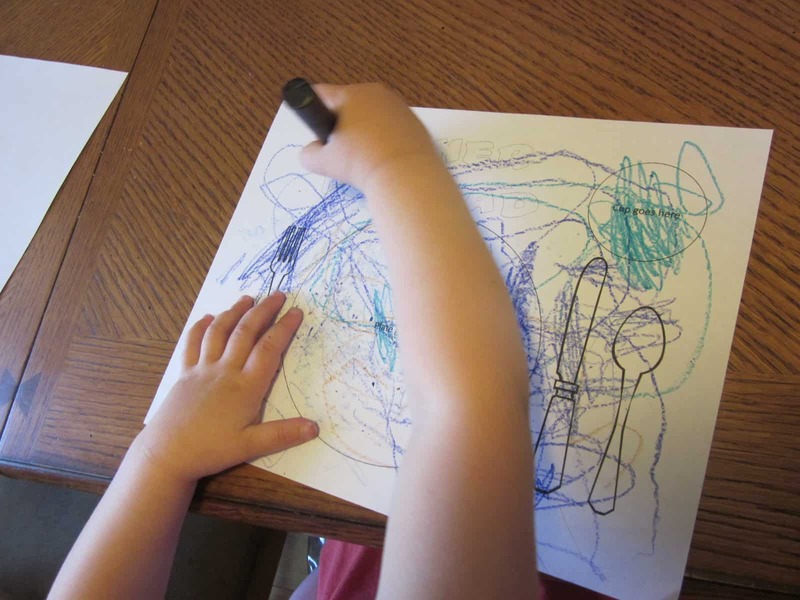 Let your little one color the page. You might want to trace the letters with a sharpie. They may get lost if you’ve got a kids who likes to color intensely! Another masterpiece in the making! 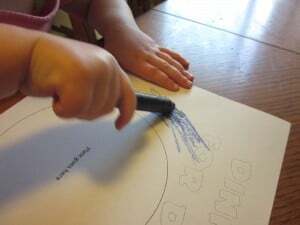 Once your little one has finished coloring, use some contact paper to cover both the front and the back of the paper. Voila! Instant placement. If you’ve got an older child who is looking for something a bit more challenging, have them look in a magazine for food they can add to the plate before covering with contact paper. That’s it! I told you it was easy! 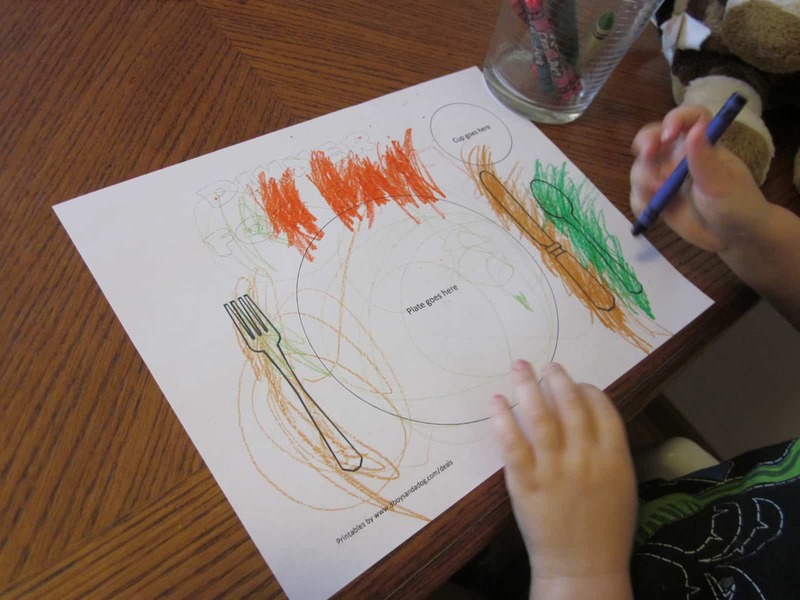 Speaking of Dinner for Dad, what are you planning on making Dad for dinner this Father’s Day? Lindsey Whitney is a mom of two, home day care provider, and blogger over at Growing Kids Ministry. 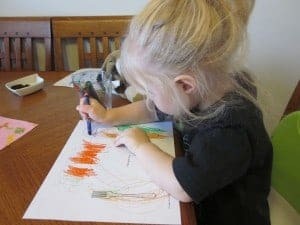 Growing Kids Ministry is a blog designed to help parents, teachers, and Children’s Ministry workers who want to help the kids they love grow in their faith. You can connect with her via twitter or on facebook!